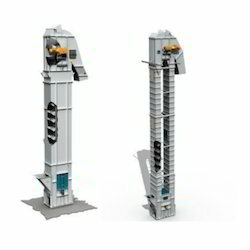 With firm commitment to quality, we are engaged in manufacturing and supplying Bucket Elevator. The bucket elevators offered by us are used for vertical lifting of material such as food grains, coffee, rice and other similar granular material. While manufacturing these elevators, our professionals make use of optimum quality material and follow the established guidelines of the industry. Stringently examined on different parameters of quality & performance, these elevators are available in various specifications to meet the needs of the customers. 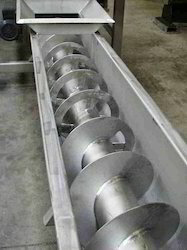 We are recognised as an eminent organisation engaged in manufacturing and supplying Industrial Premasher. 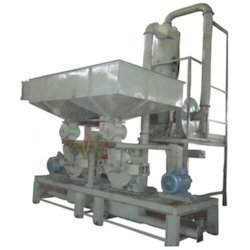 Our professionals strictly follow the established guidelines of the industry while manufacturing these premashers. In addition to this, our professionals utilise modern machines and quality-approved material to manufacture these products. We also offer these products in the custom-built range, as per the requirements of the clients. Bunker Material Handling System offered can be made available by us in different volume capacities like 50T, 60T, 80T, 100T and others as per the specific demands of the customers. The precision designed and constructed finish of the product also assures of highly reliable working performance as well as long working service life. Some of it features include suitability as cement storage tank, detachable silos equipped with safety valve for balancing inside and outside pressure, choice of level indicator for monitoring material level, equipped with screw conveyor among others. 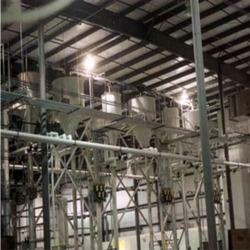 We are leading Manufacturer of Pneumatic Conveying System. All these Pneumatic Conveying System products are manufactured in tandem with international standards and acknowledged by the clients for their exceptional performance, durability, low maintenance and robustness. Systems usually operate at approximately 0.60-0.80 kg/cm2. Material moves through the conveying line at velocities of 20 – 30 m/sec. 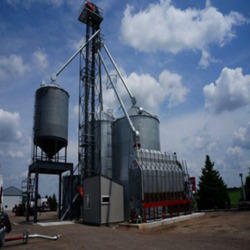 Innovation is our forte and we strive to manufacture and supply a precision engineered range of Grain Handling System. These systems are manufactured by using modern machines and premium quality components procured from the authentic vendors of the market. In addition to this, our professionals strictly follow industry norms while manufacturing these systems. Before the final delivery to the customers, our experts rigorously examine these systems of different parameters to ensure their flawlessness.